Why are Canine Attacks so Frequent in West Coast Urban Areas Like Los Angeles? In California, especially large metropolitan areas like Los Angeles, Orange County, San Diego and Riverside / San Bernardino, dog bites occur frequently. In fact, California is the leading state in the United States when it comes to the amount of deadly attacks by canines that occur. Many dog owners may argue that the dog was provoked, but many times, this is not so. In actuality, quite often the individual wasn’t even bothering the dog in any way. With children, dog bites and attacks are more frequent and occur even when children attempt to do something that they don’t think would make a dog feel threatened, such as trying to pet it. Statistics show that approximately 94% of dog bites are unprovoked. This means that 94% of all victims did not instigate the event in any way. Statistics from the Golden State also show that about 70% of fatal dog attack victims were under the age of 12. The second largest group to experience fatal injuries related to this type of attack are senior citizens. Finally, the third largest group consists of postal workers and meter readers. In some cases, including several recent incidents involving single and multiple dog attacks, there have also been reported fatalities involving children and the elderly in and around Los Angeles, Riverside and San Bernardino Counties. California Civil Code section 3342(a) mandates that the owner of a domestic animal is strictly liable for any harm caused by that animal regardless of whether the dog showed any prior propensity to bite or attack people. If the person harmed was in a public place or lawfully in a private place when the attack occurred, the owner will most likely be found civilly liable for the incident regardless of whether they were found to be negligent or unreasonable in believing their dog would not attack people. Related California Statutes also prohibit the running wild of female dogs in heat (California Food and Agricultural Code 30954). In addition, the City of Los Angeles (L.A. Municipal Code section 53.06) mandates that any dog owner in the City of L.A. is required to keep their canine exclusively upon the owner’s property unless the dog is on a leash that is no longer than 6 feet in length. While there are some dog parks which allow animals off leash, the owner is still responsible for any injury caused by their pet on or off their own residential property per Civil Code 3342, cited above. Legal Definition of “Vicious” and “Dangerous” Dogs in Cal: California statutes define a “potentially dangerous” dog as any dog that has attacked a person in an unprovoked manner requiring the person to take defensive measures, a dog that has bitten a person or a dog that has attacked another domestic animal off the property of the owner on two or more separate occasions within a 36 month period. A “Vicious dog” is defined as one who inflicts “severe injury” (defined as bodily harm that results in “muscle tears or disfiguring lacerations or requires multiple sutures or corrective or cosmetic surgery”) on a human being or kills someone. 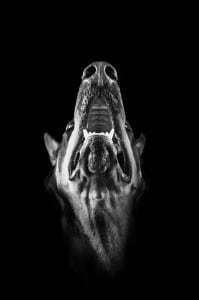 Why is it Important to Retain an Experienced Dog Bite Attorney as Soon as Possible Following an Animal Attack? Oftentimes, it is important to investigate these cases early, file a report with or request further follow up including quarantine by the county animal control department and take other measures to ensure that the event is documented. A dog bite attorney will need to act quickly ascertain to whom the dog belongs, whether that person is a home owner or renter and whether there may be insurance coverage for the medical expenses and pain and suffering related to the incident.